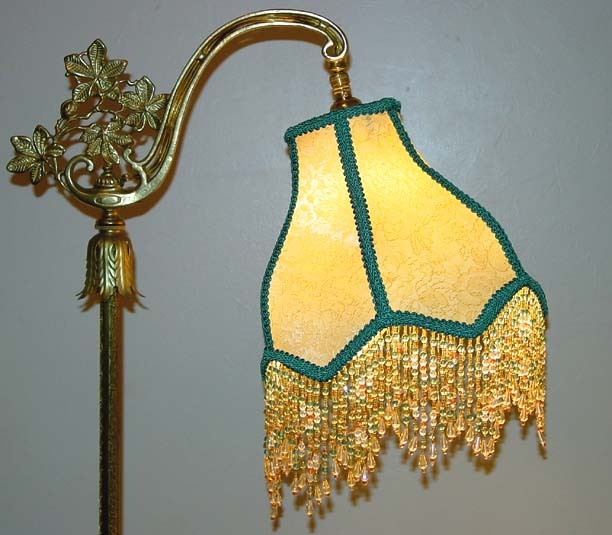 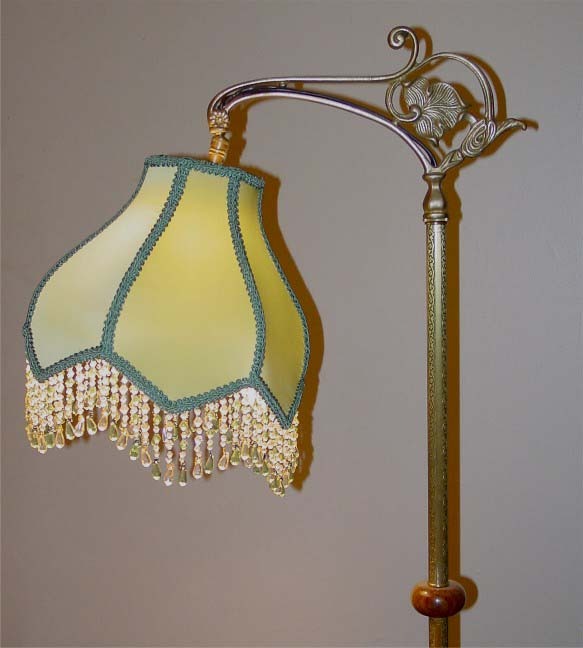 Whether your taste is Plain or Fancy Victorian, the "Haley" uno bridge lamp lampshade is a perfect choice for an old antique Jadite or new bridge lamp. 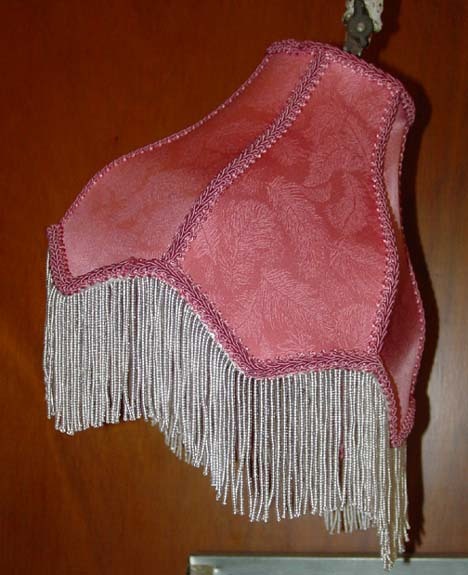 It can be made with or without fringe. 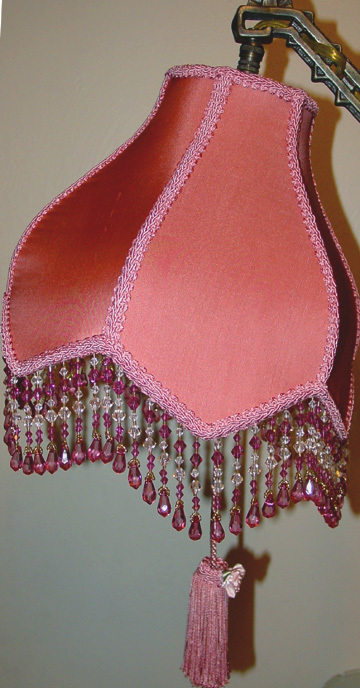 Below are shown some examples using either chainette fringe or bead fringe. 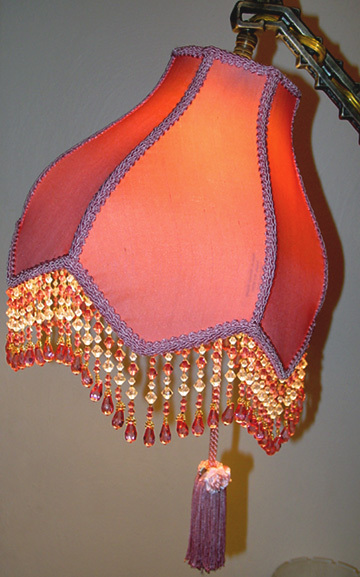 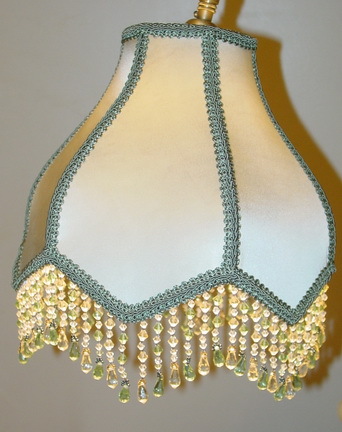 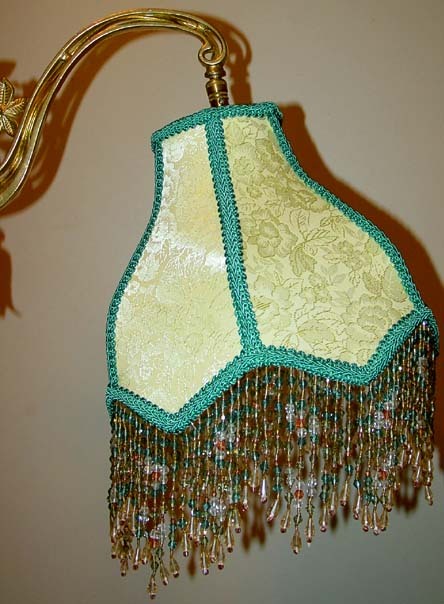 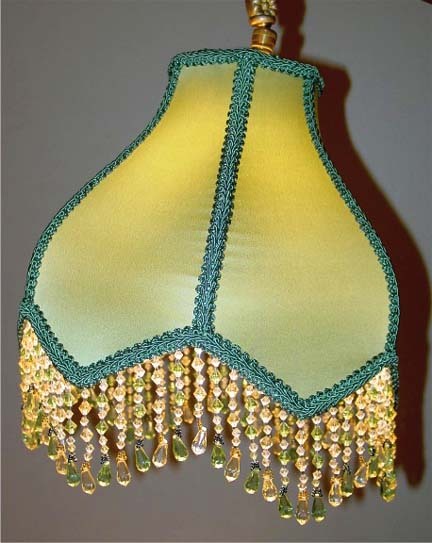 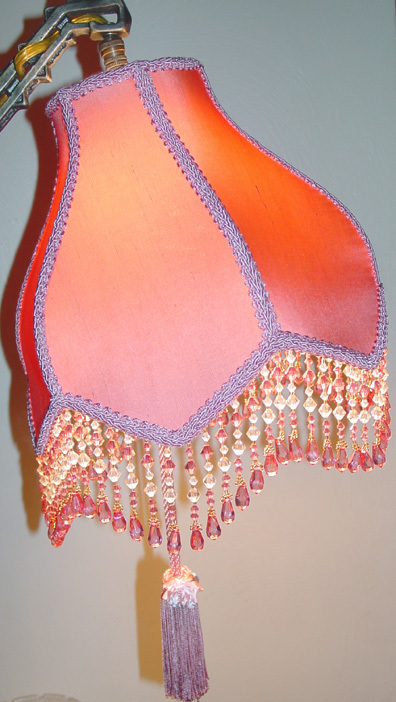 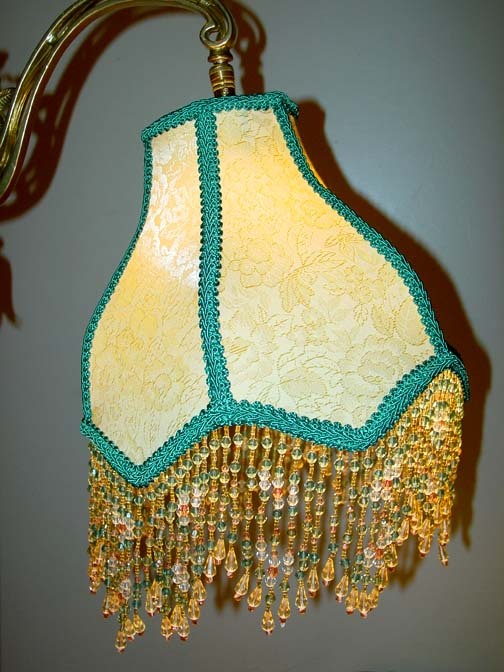 All of our high-quality lampshades are custom made right here in America! 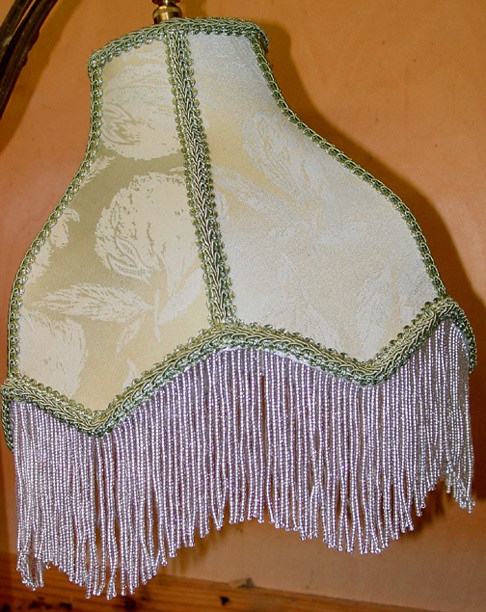 Each shade is made to your specifications for style, fabrics and trims. 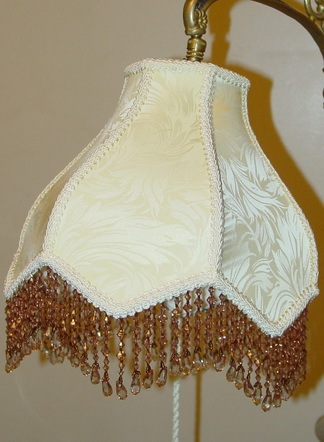 Price for a bridge lampshade using the 'Haley" frame runs from $139 to $229 depending on items you select. 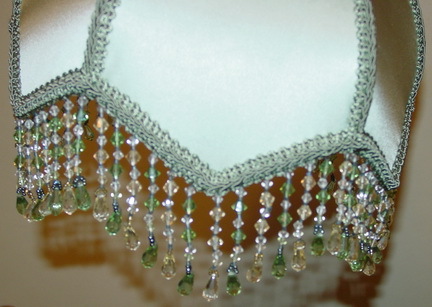 Fabrics and trims are custom dyed to suit. 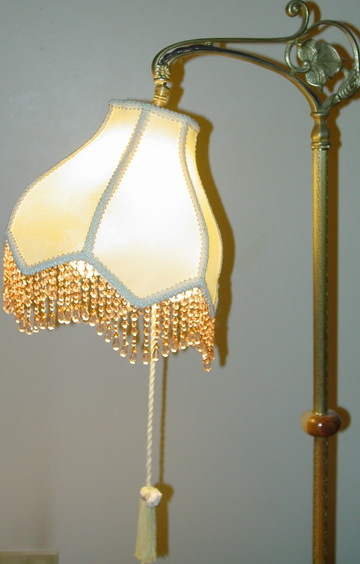 We usually ask for a color swatch (or a paint color chip from the hardware store) to match the color you want. 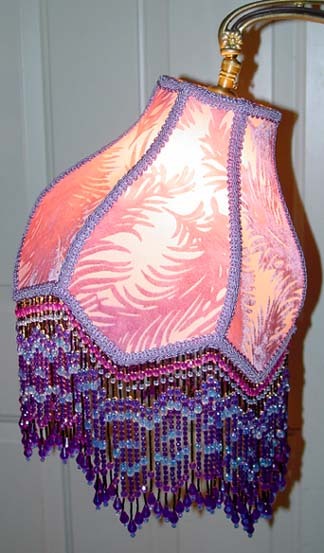 Turn-around time is from 2 - 4 weeks, but can extend a little longer at holiday rush time. 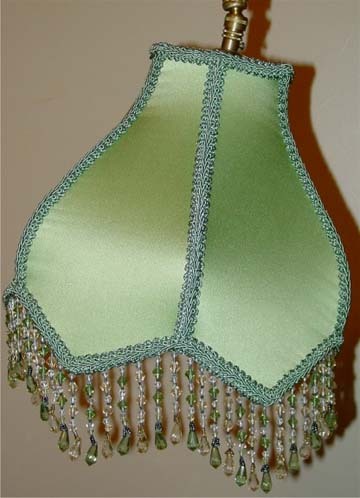 Your satisfaction is 100% guaranteed! 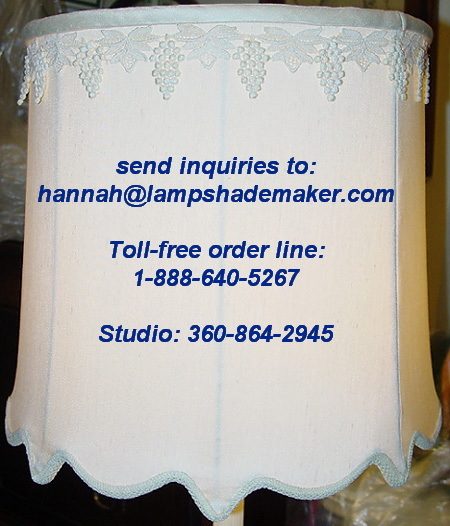 We will put pictures of your finished shade on our website for you to see before shipping. 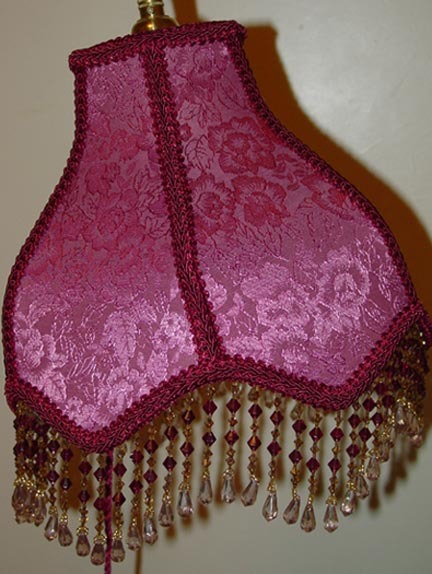 Cost of shipping varies depending on your location, but averages $15 - $20 and includes insurance. 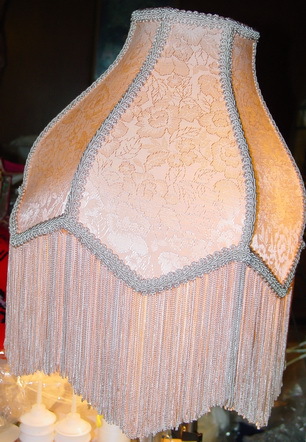 UPS is a little slower, but cheaper than Priority Mail. 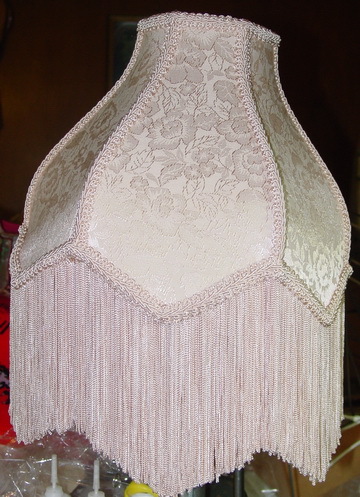 Call to discuss exact price and your specifications for a Haley bridge lamp shade. 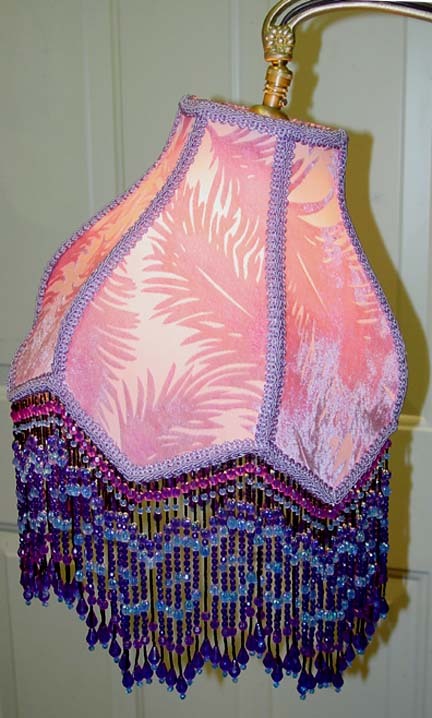 Current estimated completion: 3 - 4 weeks. 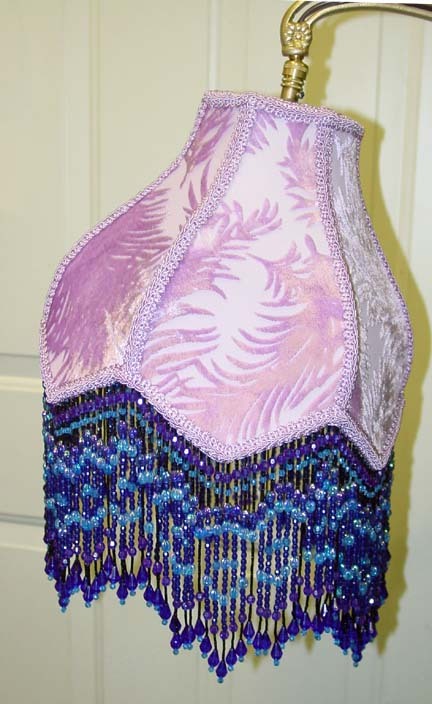 Beautiful Silk "Plume" Burnout Velvet custom dyed lavender, with blue & lavender bead fringe. 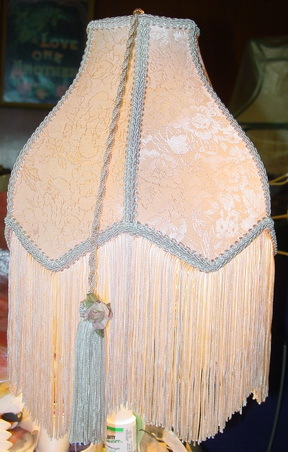 Dark Dusty Rose Silk Shantung on Haley frame, with Ivory/Rose bead fringe, and matching pull-chain tassel. 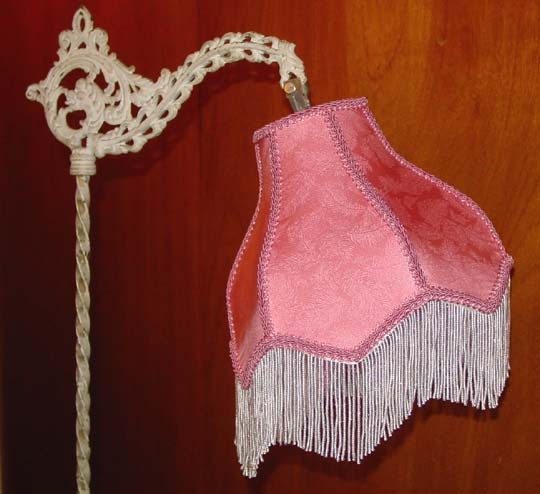 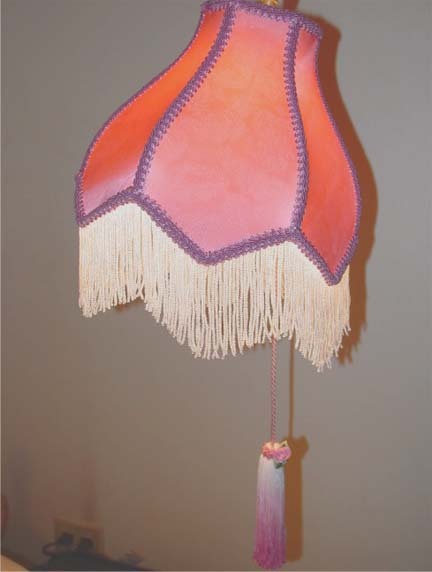 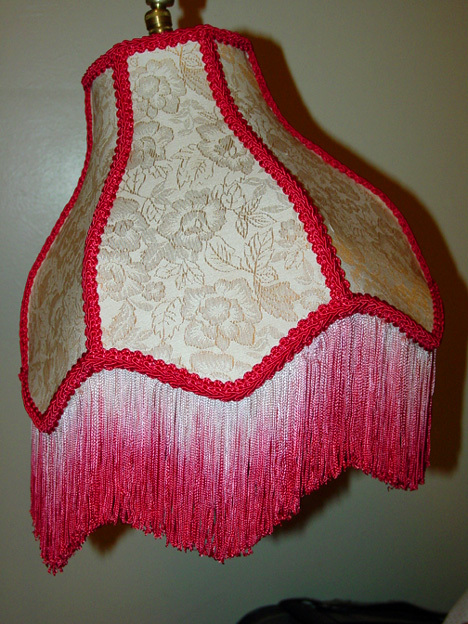 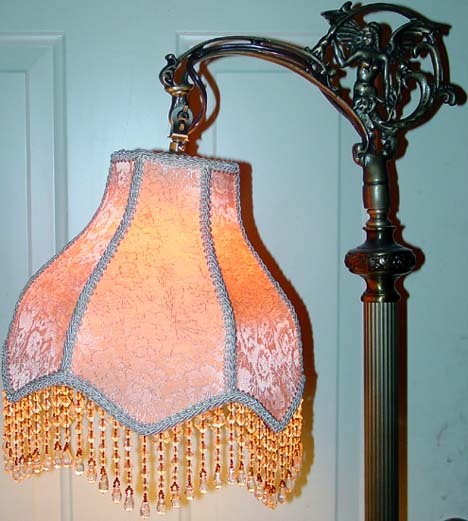 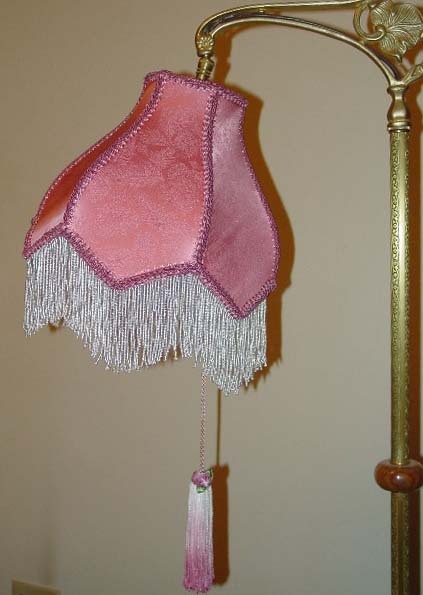 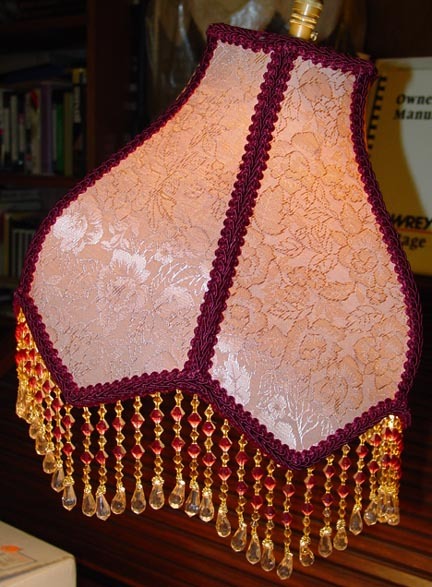 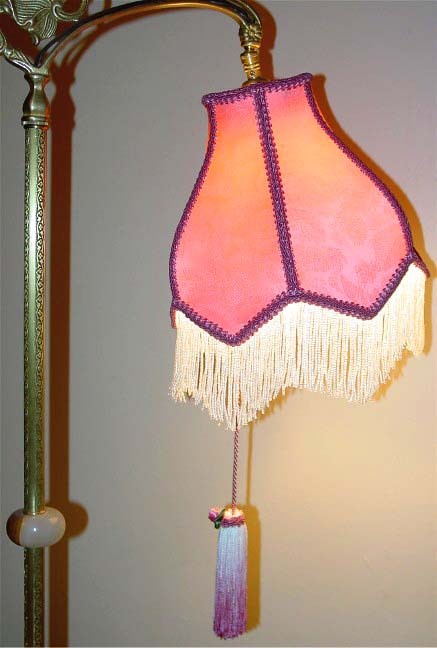 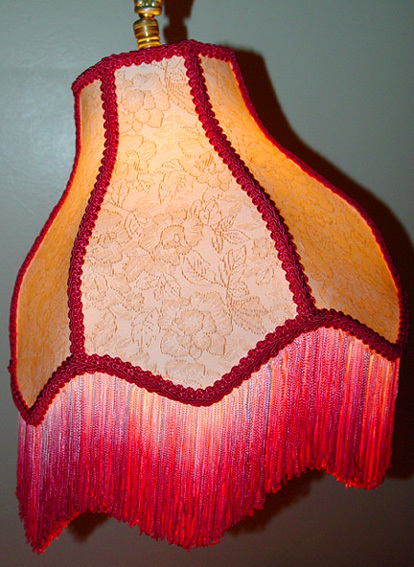 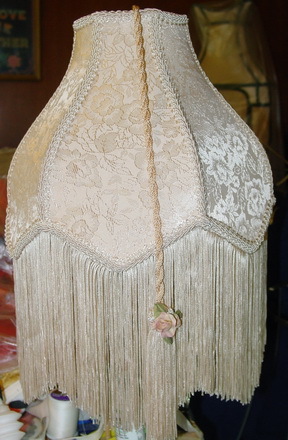 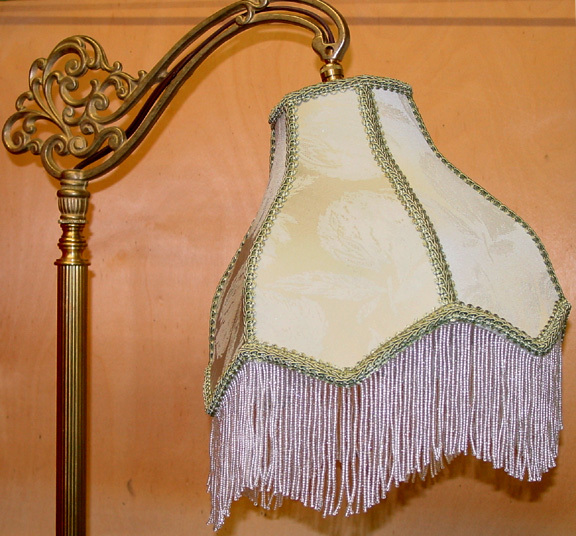 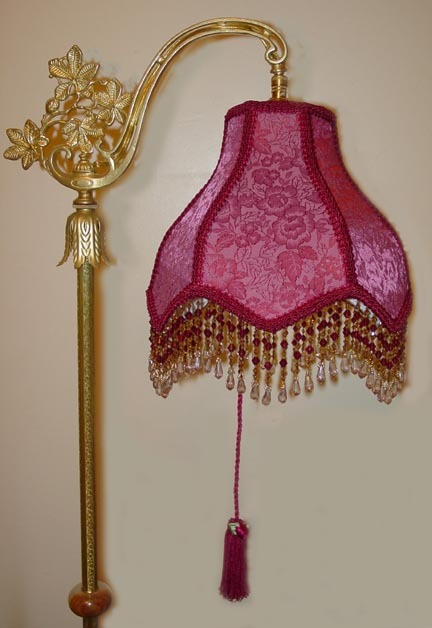 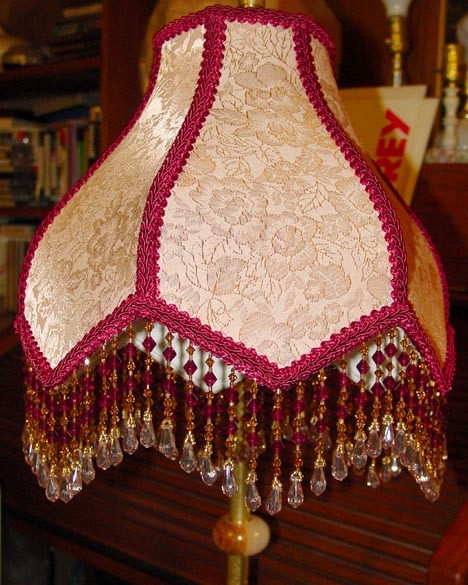 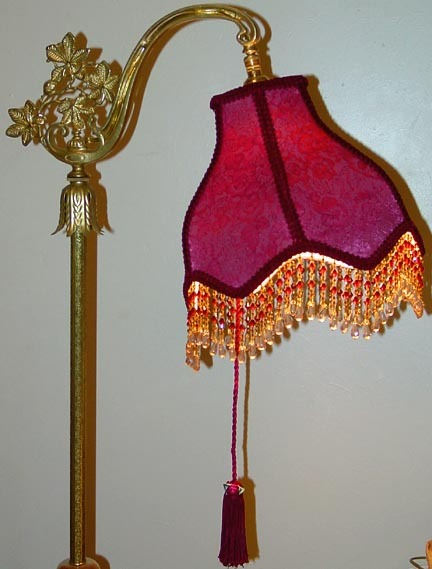 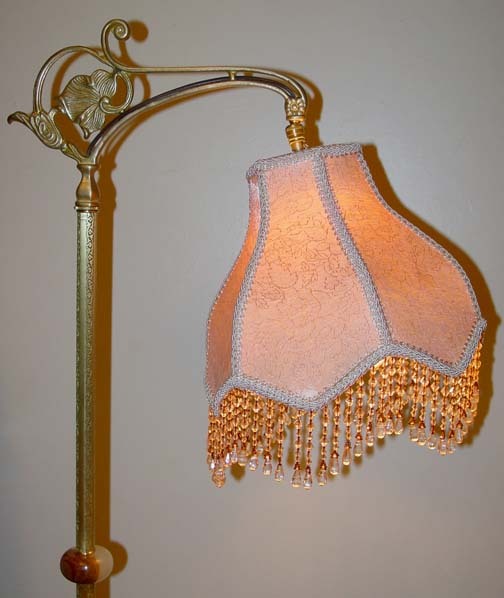 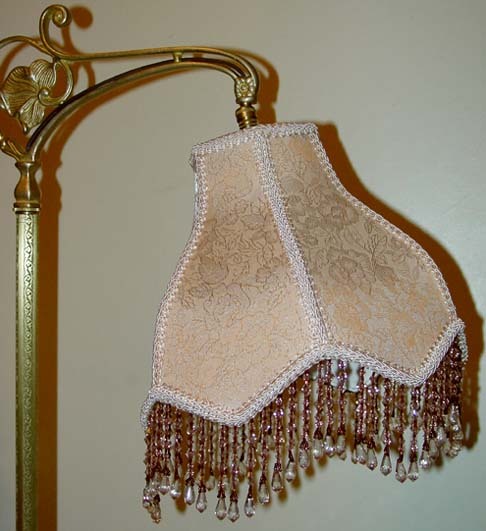 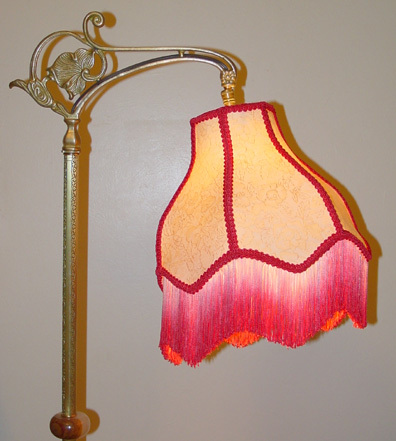 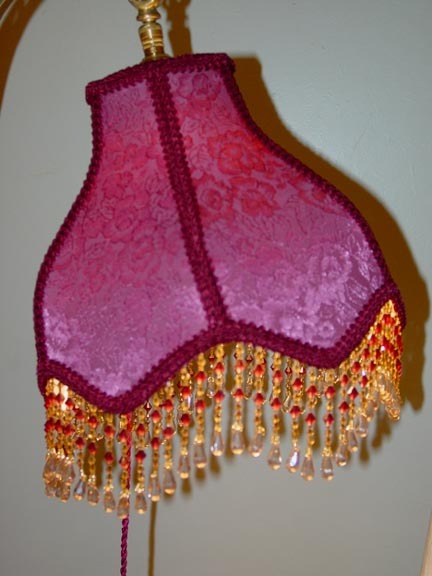 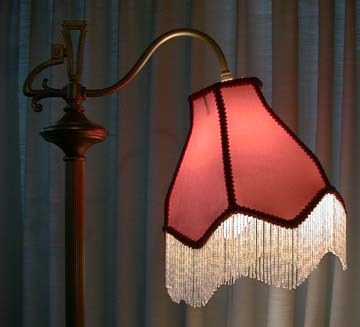 Haley Uno shade with 'Roses' brocade and ombre-dyed chainette fringe to match scroll braid, for bridge arm lamp. 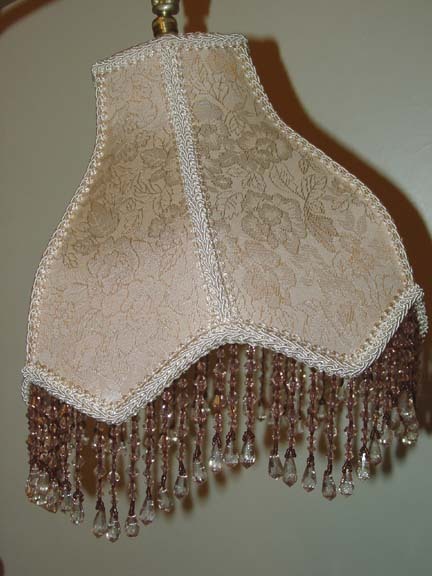 We also accept checks, money orders, or credit card payments through PayPal. 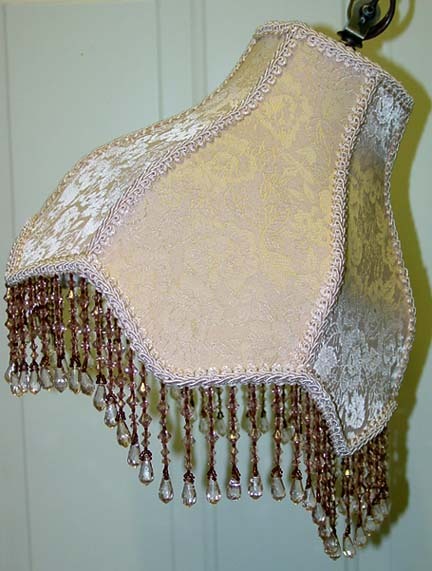 Call us first to determine shipping & insurance charges.